New way to video chat on Facebook! Want to make quicker video calls on Facebook or Twitter? Simply download the Appear.in Social extension for Opera, and you’re good to go! 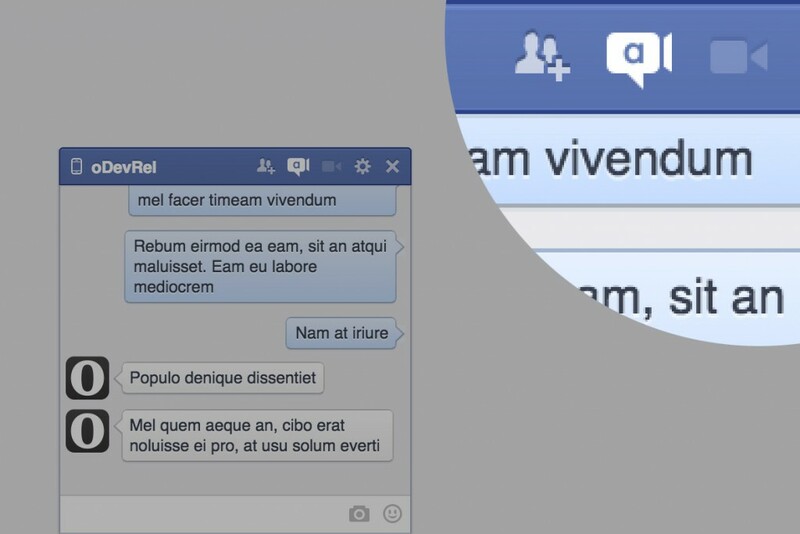 This extension adds a small appear.in icon on Facebook chat and Twitter direct messages. Clicking that icon generates a video-chat link and automatically sends it to the other person. Appear.in is a web-based, real-time chat service. It’s one of the best options out there for video chatting — no logins are required, and it works on computers and smartphones. Just open appear.in, create a chatroom and share the link with anyone you want to chat with. Last year, we had a workshop with the appear.in team and came up with a number of experiments, including the Appear.in Social extension.